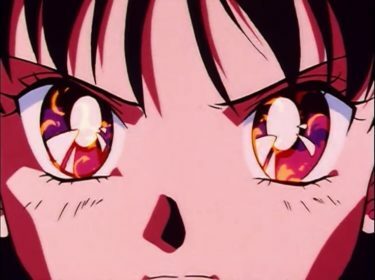 Is Rei Hino / Sailor Mars Part Demon? And that’s saying nothing of her fire reading abilities or stunning people with ofuda in both the anime and manga. So we’re gonna take a look at the interesting possibility that this may be at least somewhat attributable to Rei being part demon. How, you ask? Read on and find out! Don’t make Rei angry! Really… don’t! As often happens, we obviously will need to restrict the scope of our conversation before we get too far into the weeds here, so we spare ourselves the time of having to repeatedly state what does and doesn’t count. For the sake of this theory, we’re restricting the conversation to the – depending on who you ask – much loved/hated anime version of Rei, for reasons that I’ll be explaining shortly. Manga Rei is beautiful and sweet, and anyone who says otherwise should be ignored. With that out of the way, just what are we talking about? Well, this discussion all hinges on the fact that Rei’s grandfather is a reincarnated Youma. Unlike Youma that served under Kunzite or the Phages later in Sailor Stars, the Seven Great Youma were actually reincarnated as humans, just like the Sailor Soldiers and even the Four Kings. 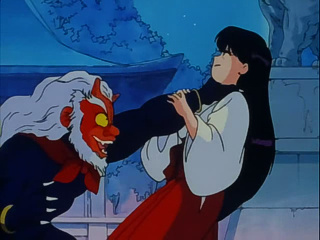 Meaning that if we were to take the stance that Rei Hino is in actuality the person formerly known as Prince Sailor Mars, then by the same logic, that means that Grandpa Hino is in reality the Youma known as Jiji. Following this logic, that means that the Rei we know and love is one-quarter Youma.2 I don’t know about you, but that’s an interesting prospect. 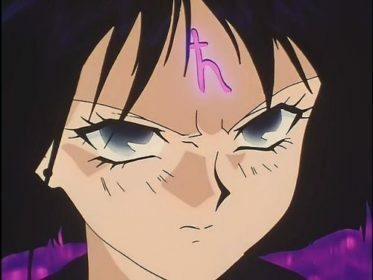 Read also: What is the Inspiration Behind Sailor Saturn's Silence Glaive? This also takes us to an obvious part two of this question: assuming that Rei is, in fact, part Youma, would that explain away some of the mystical powers that she has? Despite the fact that I just advocated for the fact that Rei carries a blood relation with a soldier of the Dark Kingdom, unfortunately the answer about it being the source of her powers is a lot less clear. There are two ways of looking at the issue. On the “against” side of the argument, there’s Hotaru. By virtue of the fact that she also has powers, you could argue that it’s not entirely out of the realm of possibility in the Sailor Moon universe for characters to have them. I mean, sure, she happens to be possessed by an evil being from another star system, but let’s not judge. 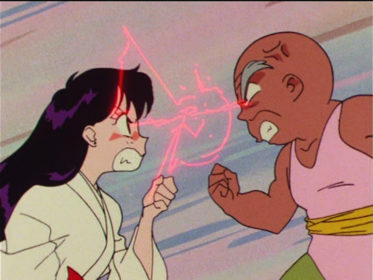 The jury is still out, but I’d still contend that the series seems to indicate that at least some of the powers we see in Sailor Moon S are from Saturn and not Mistress 9 anyway. 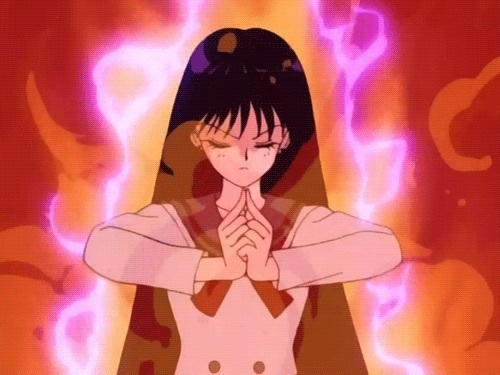 But what if we were to say that Hotaru’s powers are just a byproduct of being possessed by Mistress 9 and have nothing to do with Sailor Saturn? Well, that brings us to the “for” side of the argument. Your honor, I bring you Crane Game Joe and Ryo “Greg” Urawa, two of the Seven Great Youma as their reincarnated human forms. The former was able to cheat in crane games by using his limited telekinetic abilities, while the latter was able to see the future. While Grandpa Hino doesn’t show any special abilities in his episode, there’s no strong proof one way or another to say that he wouldn’t have them. After all, in a series where almost no non-senshi and non-enemy characters have any sort of special powers, there’s a pretty strong argument to be made for the whole “being a Youma” thing explaining away their abilities. Read also: Why Did Rei Go to a Christian School? What’s more, even after having the Rainbow Crystal removed from his body, Urawa shows that he still has powers when he later warns Ami about a premonition he had.3 So we can definitively say that the power is with him and has nothing to do with the crystal. Unfortunately, anything beyond that, such as whether or not the powers can pass down through bloodline or if Grandpa Hino even has powers to begin with, is purely conjecture and just depends on what you want to believe. Who are you calling a demon?? Where does that leave us? Well, I’d personally say that there’s compelling evidence to argue that Rei is at least part Youma, but my gut instinct is that this doesn’t have anything to do with her mystical powers. If anything, we see time and again throughout the series that the other Sailor Soldiers have “hunches” or some form of premonition or dream, so it’s probably just that Rei is more in-tune than they are. But what’s your take on all this? Do you think that the whole Youma connection is overblown, or maybe that this does explain away her super-natural abilities? I’d love to hear your take on this! ← What Were Naoko’s Sailor Moon Comedy Comics About? Mind. Blown. I had never thought about this. I’m gonna have to let this marinade in my brain before I can make any arguments for or against. I kinda wish the series actually did something with it, even if just in one episode. Maybe have Rei reflect on the fact that this makes her related to one of the enemy, and then decide that it doesn’t have an impact on who she is? Do you know how I can get autographs of the Japanese voice actors, pgsm actresses and the musical actresses? I live in Canada. Are you Japanese? Can you do an article about the Sailor Moon musicals? Hmm, that’s a tough one. Unfortunately, the most sure-fire way to get an autograph from any of the cast would be to buy one on the market. They’re not common, but you can occasionally find signatures from them on Yahoo Japan Auctions, etc. Signatures from the musical actresses are probably more common to come across, simply because more people were able to meet and talk with them before and after shows. As for me, I’m just an American living in Japan! But I speak Japanese fluently (I hope?) and work as a translator. The musicals are definitely something I’d love to write about, especially the cast that worked on them. I’ll see if I can come up with an interesting angle! Rei: Evil spirit, BE EXORCISED(sticks card on her own for head) oh darn it! I can only imagine how horribly wrong that could go…! “… it’s probably just that Rei is more in-tune than they are.” This is how I always assumed it was, and probably more likely lol. BUT STILL…! I never really thought of this before but it is really smart. 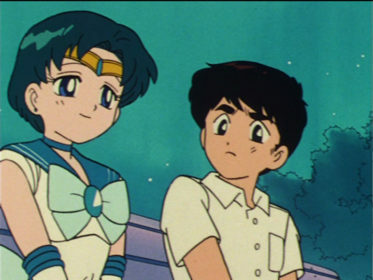 Rei is definitely mysterious and special and I absolutely love her in the manga, the anime, well, I am kind with the majority here I am willing to bet but let’s just say she is not my favorite, but I appreciate what they tried to do with her character and being so close with Usagi (I just wish they didn’t throw out the Venus/Mars connection totally). I think that Grandpa definitely has displayed that he has special powers. Like the episode where he starts Protection Aesthetics, he definitely has a conmand of martial arts and though it doesn’t seem like it, inner discipline. It would make sense that he would pass down some of that to Rei. I really like this theory a lot. Gives me more appreciation for anime Rei and more depth. Thanks! I definitely see how this theory could be a bit of a stretch, depending on one’s outlook, and definitely doesn’t apply to the manga. However, I really like the fact that it provides an explanation of how Rei has her spiritual powers, since that’s something the series never really seems to address.